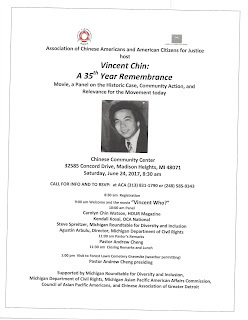 We remember Vincent Chin, the 27-year old Asian American who was beaten to death in 1982, and whose death led to civil rights trials, and the beginning of an Asian American civil rights and victims rights movement right here in the Detroit area. 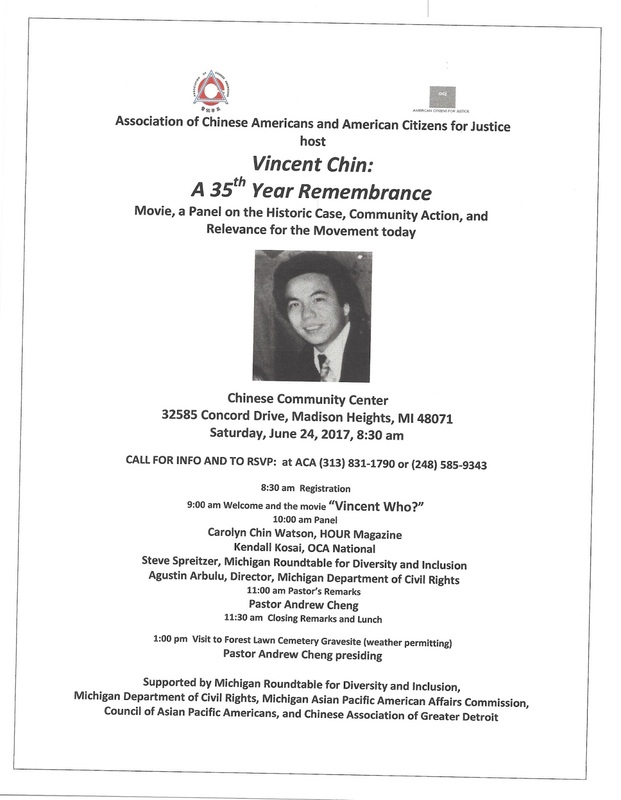 On Saturday, June 24, 2017, Association of Chinese Americans and American Citizens for Justice/Asian American Center for Justice host Vincent Chin: A 35th Year Remembrance at the Chinese Community Center, 32585 Concord Drive, Madison Heights, MI 48071. The program starts at 9 am with the movie "Vincent Who?". The movie's director Curtis Chin will comment and have Q&A. A panel at 10 am includes Carolyn Chin Watson, Kendall Kosai of OCA National, Steve Spreitzer of Michigan Roundtable for Diversity & Inclusion, and Agustin Arbulu, Director of the Michigan Department of Civil Rights, followed by remarks of Pastor Andrew Cheng, and lunch. A gravesite visit takes place at 1 pm, weather permitting. 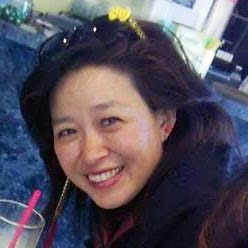 The Vincent Chin Remembrance is supported by the Michigan Roundtable for Diversity & Inclusion, Michigan Department of Civil Rights, Michigan Asian Pacific American Affairs Commission, Council of Asian Pacific Americans, and Chinese Association of Greater Detroit. Please spread the word about this event among your contacts and networks. The event is free. For more information, and to rsvp, please call ACA at (313) 831-1790 or (248) 585-9343.